Great-lookers that'll get down and dirty. Don't let the cool-looking design and colors of these Huk Front Floor Mats fool you. They form a strong barrier between your vehicle's floor and the filth you drag in. Not only that, you're sure to get the just-right fit thanks to the trim-to-fit options these Mats offer. They're tough, stand up to abuse and the raised edges of the Channel Guard keep water and debris where it belongs: contained on the Mat. 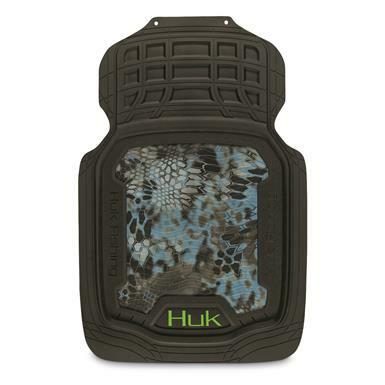 For looks and performance, you can't go wrong with these Front Floor Mats. 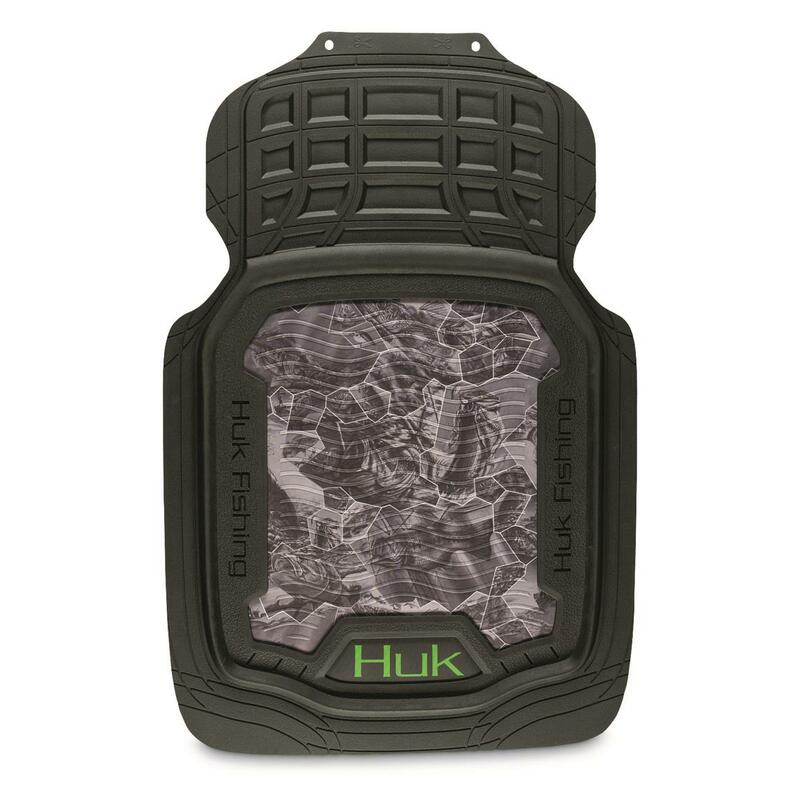 And to complete the look of your vehicle's interior, add the Huk Low-back Seat Cover (Item 704705) and Steering Wheel Cover (Item 704708). Now that's one sharp ride. The Freshwater Cell Gray color design is the awesome aquatic masterpiece of artist K.C. Scott. It's truly unique and meets the standards of today's active adventurist.